This week in Episode 31 of SEO This Week we take a look at a new Google Patent that targets social media influencers. 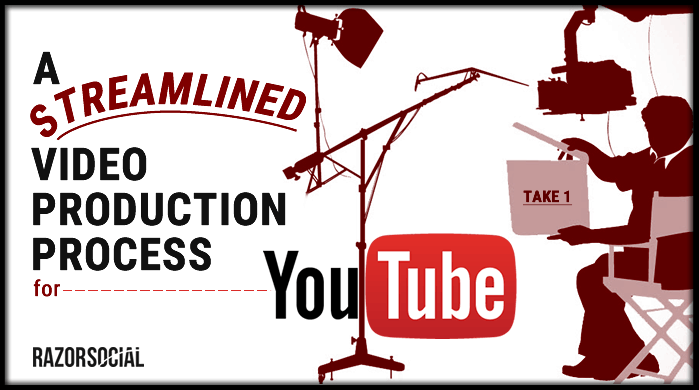 We look at a YouTube strategy to actually get content published on the site on a more regular basis. And we close out the news with a look at different PPC platforms that you can use beyond Google AdWords for your marketing that might bring less traffic, but conversions none the less. 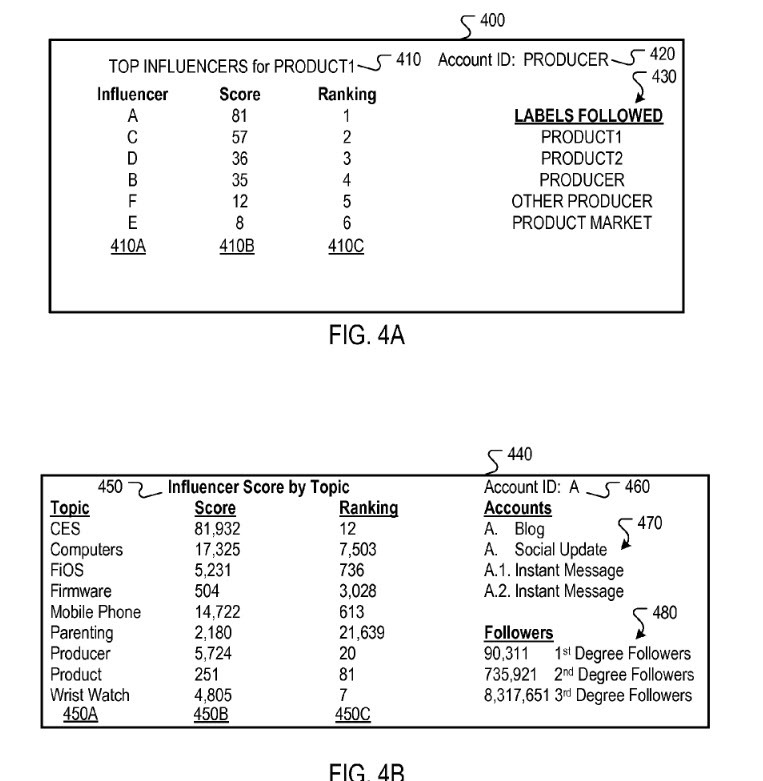 Our Insights: Whether you are into the idea that Google has developed, or is already using, AuthorRank it's interesting that this patent came out. I can see where this type of “influencer” score could be applied to AuthorRank, and thus eventually, rankings of articles posted by that author. Also, this type of information could also feed RankBrain. By giving the AI a tool to identify influencers in a market they system could (potentially) make it easier for RankBrain to understand the nuances that are happening in that particular market and adjust search results based on the popularity of the topic. Not much really. You should always be looking for avenues to reach your customers, as well as, working to increase your reach on the networks your target audience is on. Our Insights: This is a great article on three things you can do with creativity to get more from the leads you have worked so hard to capture. The articles look at email particularly interests me as it goes into crafting catchy subject lines to generate the click. One thing that I'll add to that section is that if you have a great headline and weak copy you'll do more harm that good because your email body didn't live up to the hype. So, always write each sentence with two purposes; 1) deliver on the promise of the previous, and 2) To get the reader to the next sentence. Our Insights: While a pretty basic post if you are old hat to video creation, this is a great article for people new to it. However, don't let the simplicity of the article fool you, video is hard when trying to create a quality piece every time. So make a real checklist to help you get through the production process. If not, you'll find yourself being inconsistent with not only your video creation but your video optimization as well. Our Insights: This is a great article on how to turn all that data in Google Analytics into something useful. You'll need to have goals to leverage this strategy, however, once you do and the data starts flowing it in the process can potentially increase your revenue pretty quick. There is a step by step on what to look for in the data and how to leverage it. But you will need a working knowledge of goals and transaction value in order to fully implement it. 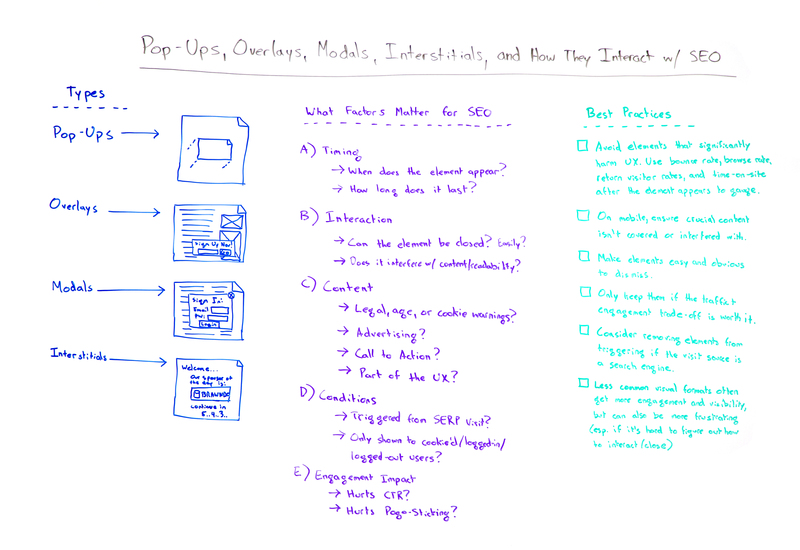 Our Insights: When Google announced that they were going to look negatively on sites that leveraged pop-ups the SEO community went to extremes to declare them bad for SEO. No proof of that, that's just how the community rolls. However, there are some great sites out there that leverage pop-ups and modals quite well while not interfering with the user experience. Plus, you just can't deny that they do work, no matter how annoying that are. This video goes over the different names of these elements, where they show up on the site, and how they could “potentially” affect your user experience and SEO. With that knowledge you can more strategically plan where you are going to use one or all of these tools without adversely hurting your site one way or another. Our Insights: I would venture to say that pretty much every business out there could use a guest post program in order to build up the relevancy of the website. 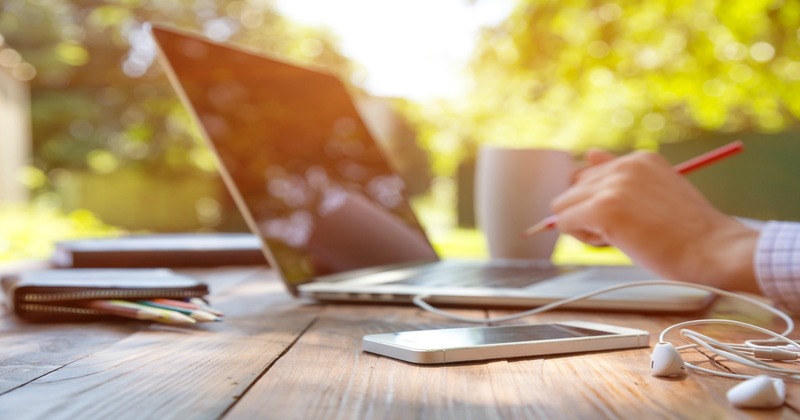 This article goes into 6 things you should be prepared to do in order to implement a guest posting on your website in order to get the most out of the process. I will add that you need to be prepared to edit and deny content as well. People will try to pass on “junk” content to you in order to just get a backlink from your site. While not the norm by any means, being prepared to filter out those is just a cost of doing business. Otherwise, add that “Submit A Guest Post” page to your site, you never know, you might find a winner in there that could triple your exposure overnight! Our Insights: There are plenty of ways to look at link building and outreach campaigns certainly are a way to get it done. Keep in mind that you will be competing for the attention of your target in the inbox and will likely find that you'll need to reach out to them on more than one occasion in order to get a backlink. The problem is that there are plenty of people who do outreach wrong and it can easily get on the nerves of site owners. Then you'll get some reply full of frustration. So when you are doing these types of campaigns, put on a thick skin and tough it out. As long as you look at the email you send in good faith and can consider it having some type of value, I think you'll be ok. This post does provide you with some templates to help you promote your content both before and after publication. One could potentially create a whole content promotion process using them for each and every post if you have the manpower. Our Insights: The first section of this article is painful to read, I would suggest jumping to the “Most Common SEO Mistakes” section and saving yourself the confusion that it caused me. I actually had to read it three times before I gave up because the author jumps from subject to subject and point to point with zero pattern. Painful! The bad writing shows its ugly head in the “Mistakes” section as well, however, that doesn't take away from the value of the points made. Key takeaways that we look for are the duplicate title tags and using manufacturing product descriptions on your own store without any customization. These are our pet peeves and something we fix right away on client sites. The rest of the article does go heavily into PPC for your store and is well worth the read. Our Insights: Google may be the big dog for PPC, however, that means it's typically the most expensive option as well. This article highlights some of the other programs available out there to business owners where the competition is a bit lighter. Less traffic, maybe, but if you are getting sales for cheaper prices it's certainly worth the effort of using them.